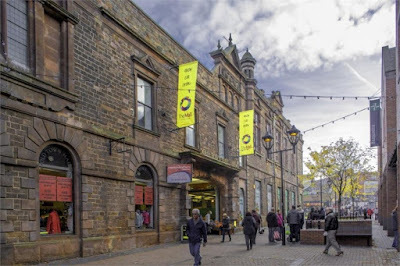 Origin Broadband seems to have relocated to Rotherham town centre from its Manvers base having secured a Company Voluntary Arrangement (CVA) with its creditors in order to keep trading. Rothbiz reported in December that the internet company had been hit by high costs and bad debts as it tried to press ahead with ambitious growth plans. Launching in 2011, Origin has developed its own infrastructure and now host the sixth largest broadband network in the UK. Supplying phone and internet services to businesses and homes across the UK, Origin aims to reach 250,000 customers by 2020. As part of the growth plans, earlier in 2018, the firm moved from Doncaster to the 53,665 sq ft Unit 7 at Callflex Business Park, Manvers which the firm said "offers an even bigger opportunity for growth." Now the firm has switched its address to the Old Town Hall in Rotherham town centre. It comes after a CVA was approved at the end of the year. It is thought that the CVA has lead to a number of redundancies. Struggling companies can use a CVA to pay creditors over a fixed period. 75% approval from unsecured creditors is needed to complete a CVA which enables the company to continue trading. Documents show that Origin Broadband creditors are owed a total of £4.48m and that 100% of creditors voted to accept the CVA. By far the biggest creditor is BT plc, who were owed £3.68m. Other large creditors include media company Awin (£260,000) and Castan Ltd (£325,000) - the firm that progressed plans for housing within Building 7 on Callflex Business Park back in 2016. A charge was filed in October relating to a loan facility between Origin and FCFM Group - the owners of The Old Town Hall. Financial statements filed with Companies House show that Origin Broadband posted a full year loss to March 31 2018 of £7m but funding of £6.75m was secured from investors during and after the financial year to return the business "to a positive net asset position combined with increased cash funds." The results added that the high growth experienced by the company saw significant up-front costs combined with overhead costs and prudent bad debt assumptions. Work had been ongoing to secure venture capital and other investment.